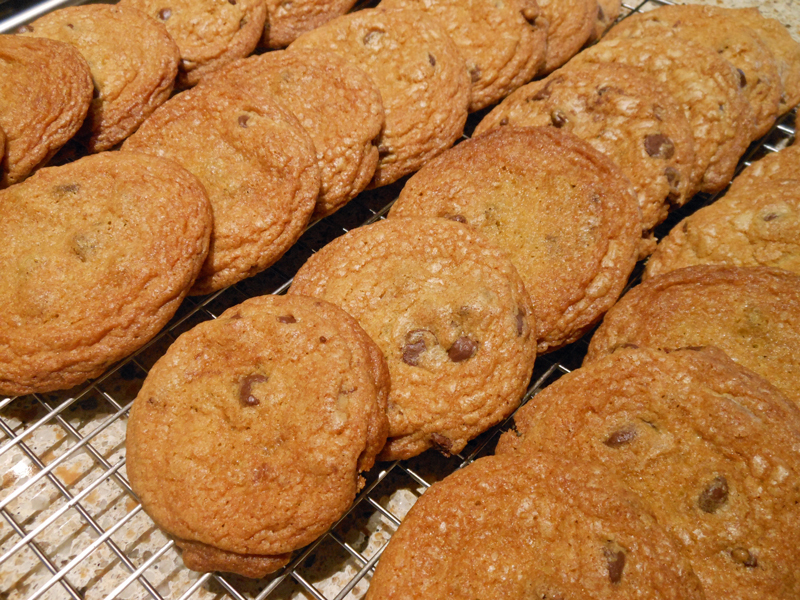 These are, by far, the “best” chocolate chip cookies. Chewy and crisp all at the same time. You will inhale them! Sift together flour, salt and baking soda and set aside. Put slightly cooled melted butter in mixing bowl and add both sugars. Cream on medium speed for 2 minutes. Whisk egg, egg yolk, milk and vanilla in a measuring cup. Reduce mixer speed and slowly add egg mixture. Mix until well combined about 30 seconds. Gradually incorporate flour mixture until thoroughly combined. Stir in the chocolate chips. Chill dough for 1 hour. Scoop onto parchment-lined baking sheet and bake for 10 to 12 minutes.